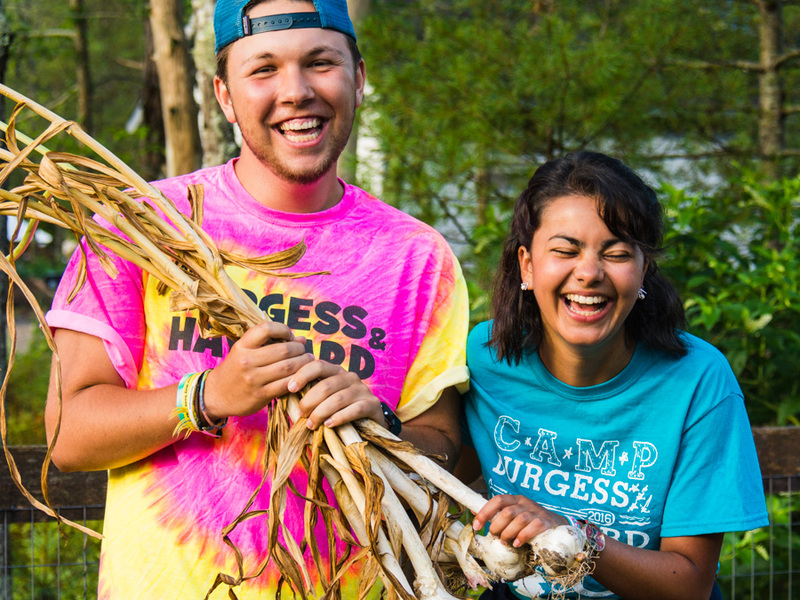 If you are looking to get your hands dirty while basking in the charitable spirit of Camp Burgess & Hayward, then our service programs are the right fit for you! Base Camp Service Week and Teen Service Weekend both engage teens in value-based projects that help to prepare camp for the summer, and each day is intermingled with fun downtime activities to celebrate everyone’s hard work. In addition, each Adventure Trip incorporates a few hours of community service into their camp experience. Service hour documentation is provided at the conclusion of each event. This is a great opportunity to earn up to 20 hours of community service while enhancing our Adventure Trips Base Camp living space. Throughout the week, all teens are encouraged to try new activities, be it exercising their green thumb, aiding in small construction projects or painting a masterpiece. Other tasks may include trail-building and maintenance, creative projects and garden/farm upkeep. Have no fear, beautifying Base Camp isn’t the only activity we do. We take abundant breaks for daily swims, siestas and camp activities, such as ziplining, climbing, boating, and evening programs. Teens reside at Base Camp, and meals are prepared at our outdoor kitchen. Help us kick-start the summer, while leaving a benevolent mark on our beautiful camp. May 11-12, 2018 — $50 This weekend is an excellent blend of amusement and community-building. On Saturday, May 12, the service weekend attendees join other friends and families of camp for our annual Volunteer Day! 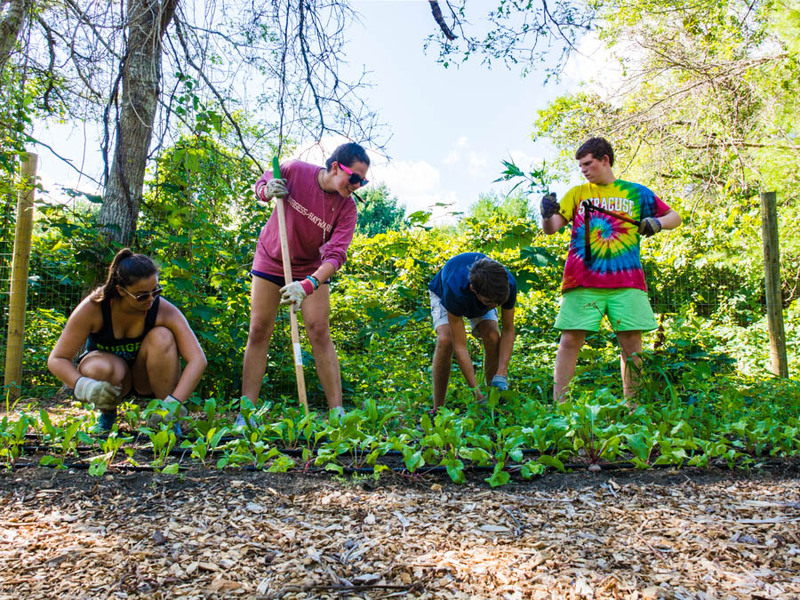 Service opportunities throughout the weekend are varied and may include planting, raking, weeding, clearing and restoring forest trails, mulching, sign-making, painting, and tidying the cabins for the summer. Along with the sprucing up of camp, we have a space that always needs some tender loving care–our farm, where there are many ways to contribute to the development of this gorgeous plot of land. When we’re not occupied with beautifying camp, we’ll be able to toast a marshmallow or two and enjoy a weekend at camp! We have a fun-filled schedule of activities led by our experienced and dynamic staff. Spring Service Weekend volunteers reside in the heated Camp Burgess cabins and eat in the Camp Burgess dining hall. Round-trip transportation from the Emilson YMCA in Hanover is available. This program is open to ages 9-17. For more information about our service programs, please contact Asa Gallagher at 508-428-2571 ext. 104 or asa@ssymca.org.